Christ is the Head of this church. Pastor Tom was called by Monument Hill Church to be the pastor in September of 2011. He has been married to Melissa for over 28 years, and they have three sons and a daughter-in-law (and TWO grandchildren)! Tom regularly preaches through a Bible book focused on how to live the Christian life today, and he is seriously joyful about what Christ has done. Most importantly, Christ is His Treasure and Pastor Tom would love for you to come worship with us soon. Pastor Tom has served in churches and ministries in North and South Carolina, Maryland, Texas, Kentucky, and Colorado. He earned a Master of Divinity with Biblical Languages degree from Southwestern Baptist Theological Seminary in Fort Worth, Texas. He is also a graduate of the U.S. Air Force Academy. He has served as a North American Missionary through the Southern Baptist Convention and has served the Lord overseas as well. Gary Long was born in Albuquerque, New Mexico, and became a “Texan” when he was a young boy. Barbara Davis was born in San Angelo, Texas. Gary and Barbara met as teenagers when they served as summer staffers at Glorieta Baptist Conference Center in New Mexico. They have been married for a very LONG time, and have one son and two daughters along with ten grandchildren. Gary is a graduate of Oklahoma Baptist University with a degree concentration in Biblical studies and religion emphasis. He did his graduate degree at Southwestern Baptist Theological Seminary with a concentration in religious education. The call upon Gary’s life is serve Jesus, the Lord’s church, and to witness to a world that desperately needs the Good News! His first day as our Assistant Pastor was January 1, 2017. Welcome Pastor Gary! Rich was born into the world in 1954, and born again into the kingdom of God on Easter Sunday 1977. He became an elder in 1994 at Anchorage Grace Church in Alaska. He became an Elder at MHC in May 2015. He serves as the Elder liaison to the Missions Team and leads our Small Group ministry. He married Susan Cantwell in 1978, and they have four adult children and an increasing family of grandchildren. Rich graduated from the Air Force Academy in 1976, served in the Air Force and Air Force Reserves for twenty three years, and flew for Northwest and Delta airlines for over thirty years. John is a Colorado native who began attending MHC in June of 2015. He became an elder in June 2018. He and Beth, his wife of 47 years, live in the NE area of the Black Forest. They have three grown children and twelve grandchildren. John is semi-retired after forty-three years as a financial advisor. He has had the opportunity to be involved through speaking/singing in men's retreat around the country for many years. He enjoys the various ministries at MHC, including the small group, and coming alongside to help those who desire to grow in the grace of God. Matt has attended MHC since June 2013, serving as a deacon for just over a year and was elected as an Elder May of 2017. He was born-again at the age of 33 into the Kingdom of God; Oct of 1992, by the power of the Holy Spirit and by the patient hand of his wife Margaret. Matt met Margaret in their first US Air Force assignment and were married about a year later in December of 1984. They have four adult children and a growing number of grandchildren, all of whom live locally. Matt is retired from the Air Force and currently supports an Air Force satellite program as a contractor. Kara became our Worship Leader in January of 2016. She and her husband, Kevin, came to us from a church in Washington state, where she led music for several years. Kevin plays for our Worship Team as well. They are blessed with four children. 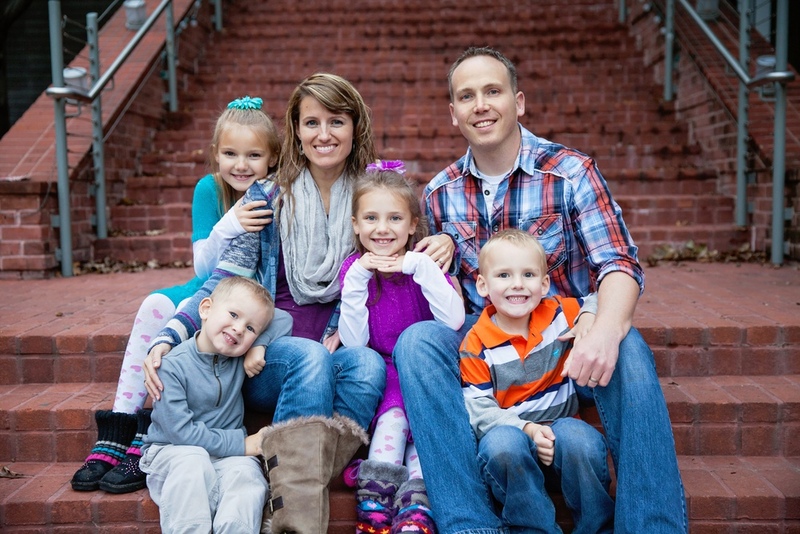 Justin grew up in Colorado Springs and then moved to Spokane, Washington to attended Moody Bible Institute. While at Moody, he met his better half, Lou-Anne, and they got married in the summer of 2015. During his last two years of school, he completed a pastoral internship at Indian Trail Church that heavily shaped his convictions about God’s design for the church and ministering in a gospel-centered way. Justin and Lou-Anne both graduated from Moody in 2017 and moved to Colorado shortly after. They are excited to be part of Monument Hill Church, and they’re passionate about pointing youth to Christ in His Word.